Industry experts suggest that no new-to-market use has had as large an impact on Maine's commercial real estate landscape in recent years as has cannabis cultivation. Preti Flaherty's Dan Walker will participate in a panel discussion and presentation on how this industry has evolved, where things stand today and what the future may hold. Discussion points will include a legislative update on current laws, an overview of financial and insurance hurdles, and pros and cons for property owner landlords to consider. 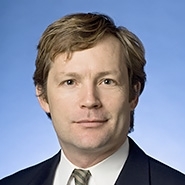 Dan Walker is Chair of Preti Flaherty's Government Affairs Group. Dan advocates for clients before the Maine Legislature, the Executive Branch and other state and federal governmental agencies. He represents the largest medical marijuana dispensary in Maine, a statewide association of private non-profit colleges and universities and has several gaming clients, including a Maine-based casino.